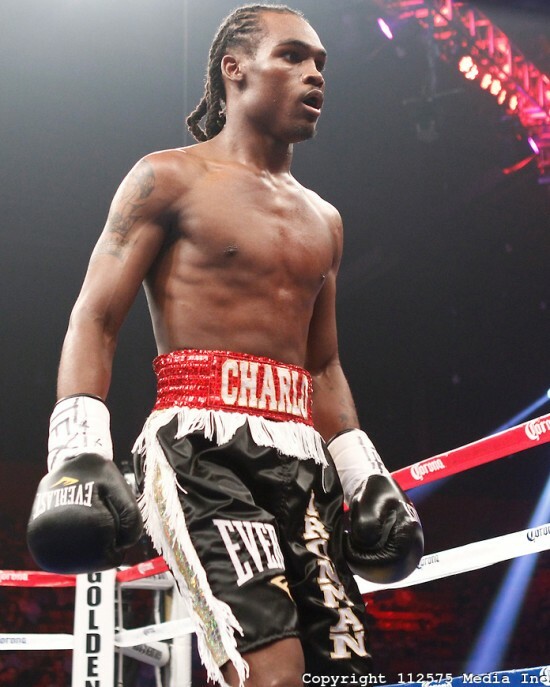 The CBZ will like to extend its congratulations to young Super Welterweight Contender Jermell “Iron Man” Charlo for his dominating 6th round TKO over Joachim Alcine on Halloween at the NRG Arena. 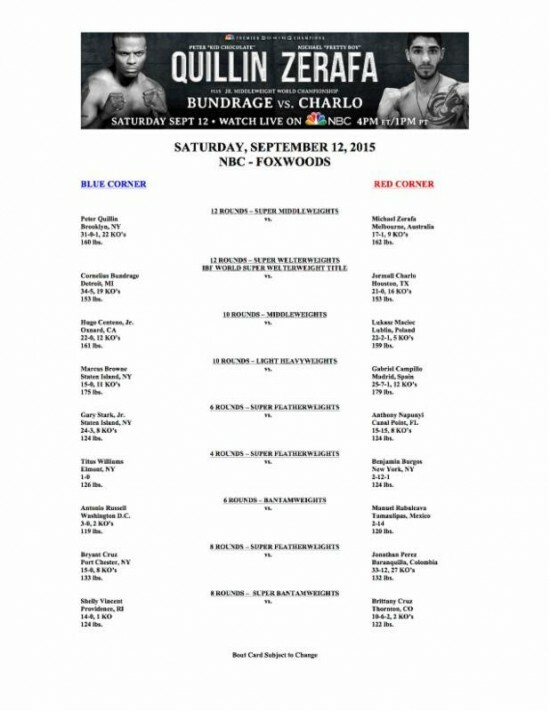 Weigh-In Results for Today’s Premier Boxing Champions on NBC Featuring Quillin-Zerafa, Charlo-Bundrage and More! World Champ, Jhonny Gonzalez & World-Ranked Contender Vanes Martirosyan Poised To Make Marks This Saturday, March 28th! GLENDALE, CA, March 24, 2015 — Current world champion Jhonny Gonzalez and once-beaten world ranked welterweight contender Vanes Martirosyan participated in a media workout on Monday at the Main Event Sports Club in Glendale, Calif., six days prior to their respective upcoming fights on Saturday, March 28, at the The Pearl at the Palms Casino Resort in Las Vegas live on SHOWTIME(10 p.m. ET/7 p.m. PT). 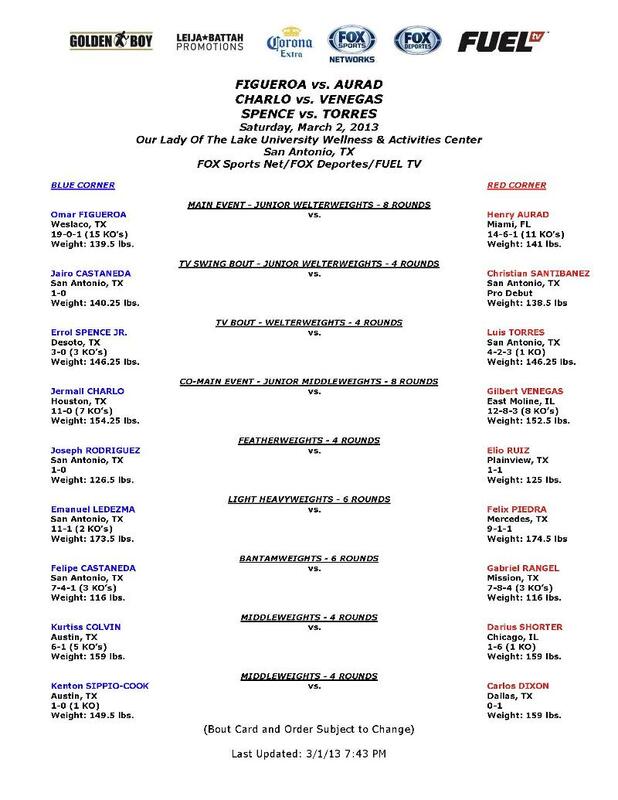 CARSON, CA, June 9, 2013 — In a Fight of The Year candidate Marcos “El Chino” Maidana (34-3, 31 KO’s), of Margarita, Argentina, capped a spectacular night of fights with a sixth-round technical knockout win over “The Riverside Rocky” Josesito Lopez (30-6, 18 KO’s) of Riverside, Calif., before a loud and raucous record sell-out crowd of 8,629 at the Home Depot Center Saturday in the SHOWTIME CHAMPIONSHIP BOXING main event live on SHOWTIME®.